David Belda, former rider of Burgos-BH, has defended himself against accusations of sports people because of his participation in trail running events in his native Spain. 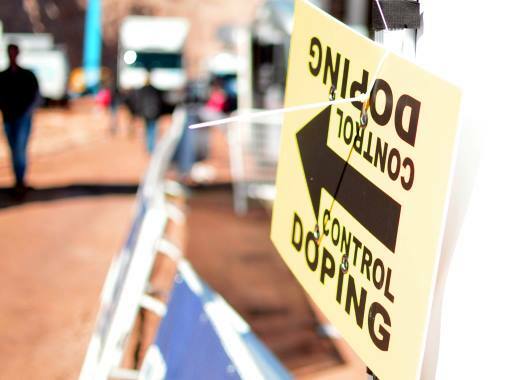 Belda has received a four-year ban after failing a doping test in the spring of 2017. But this ban hasn't stopped the Spaniard from participating in trail running races in the region of Valencia and that hasn't been welcomed by other participants or by the organisers themselves. The rider has defended his presence in these events in the Spanish website Infotrail, which is dedicated to this sport. "A year ago I was invited to a mountain running race, that was my first trail and I won," he stated. "This made me fall for this event. From there I increased my training by running a lot more than I already did. That made me decide past September to take part in the mountain running of the neighbouring towns, considering that I am from Cocentaina, Alicante. "I did things well and before anything I asked my lawyer for advice, he is an expert in sports and with experience in international affairs, including the Court of Arbitration for Sport. He told me that I could start in any sports competition that didn't have federative character." Belda continues the letter by commenting that the races that he takes part on are not part of any federations. "I know that I can't have any license in any sports and that I can't be part of any regulated competition by any federation. This is why I consider that I didn't do anything wrong and I start on those races to enjoy an activity that I like and share a weekend with my family and friends from the sport. "I want to make clear that I have not intended to disrespect anybody, not the organisers or the participants, hence my intention was not to create controversy."